Can Triumph’s racy triple still cut it for thrills? The Triumph is not designed with everyday road riding in mind though and the position is cramped and aggressive and forces you to hunch over the bars at all times. This makes having mirrors utterly pointless, as all you can see in them are your own elbows. This is made worse on this bike by the aftermarket rear sets installed by a previous owner. Add all this to an extremely hard seat and it becomes obvious that the Triumph is a bike best enjoyed in short bursts at the weekend, rather than on long distance rides. Once you have adjusted to its extreme nature though, riding the Daytona becomes a pleasure. Placed on a fast, open B-road, it’s the perfect bike for carving up corners, before punching out the other side to a soundtrack of throaty triple loveliness. 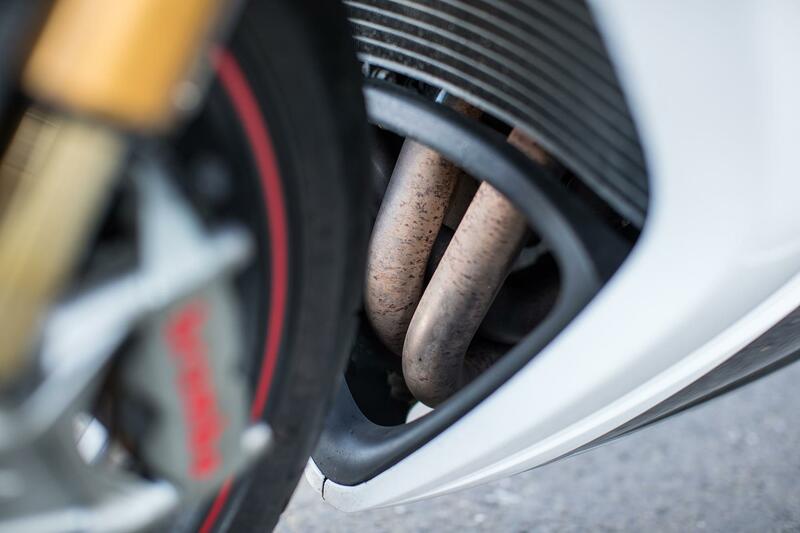 The 675cc engine really is a peach, producing plenty of torque and one of the best induction notes on the market. The fuelling is silky smooth throughout the rev range and I could never grow tired of the quickshifter, which delivers faultlessly when used at speed. It was, however, more reluctant to use through towns and villages and sometimes produced false neutrals rather than my desired gear. The grunty motor is only complimented by the bike’s pin-sharp handling, which encourages riders to get it tipped over at every available opportunity. The suspension is plush, if a little too stiff for someone of my size, and there is a real connection between the bike and the rider. This removes any spec of vagueness or unpredictability from the front end, which works wonders for your confidence on the move. 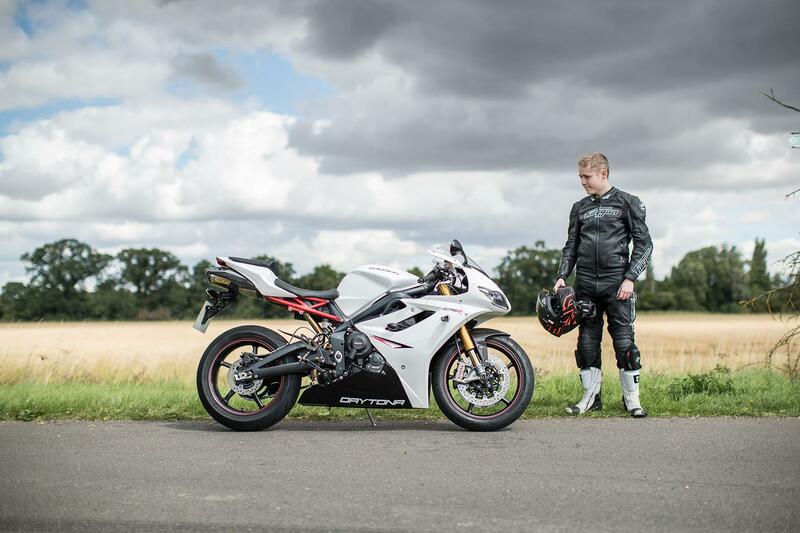 As a weekend toy for countryside thrills and the occasional trackday the Triumph Daytona 675R is absolutely ideal. However, you might be best placed elsewhere if you are looking for something with a little more everyday practicality – such as Triumph’s own Street Triple and Speed Triple ranges. The ride is firm and the position is focussed and cramped, which makes slow riding less than enjoyable and, being a sportsbike, low speed manoeuvrability is also quite poor. There is a large turning circle and the tall gearing means you really need work the clutch in town. The bike we tested is also showing signs that it has previously been involved in a minor spill. There are scuffs on the right rear indictor and pipe, as well as the swingarm. Parts of the bike’s fairings seem to have also been repaired and repainted, which became obvious when running my finger across the usually smooth and glossy Triumph paintwork, to discover previously hidden rough patches. 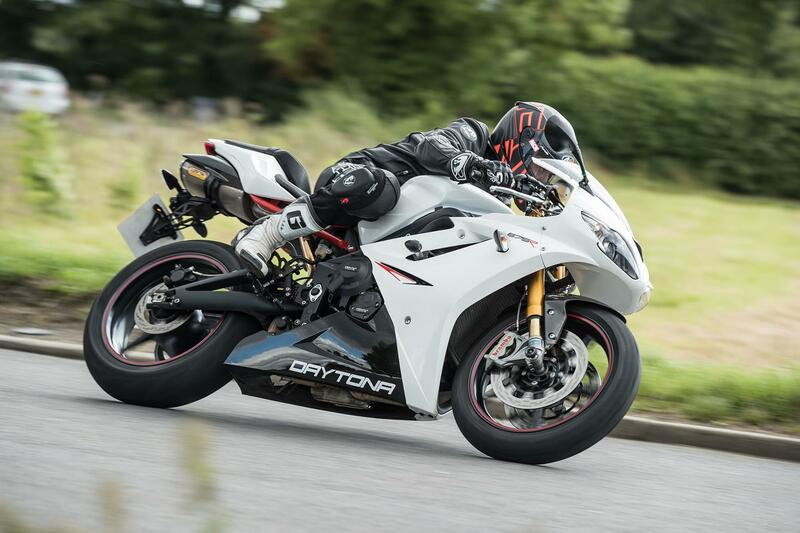 Triumph’s Daytona 675 R is a fantastic supersport bike. With gorgeous looks that still cut it today and an unapologetically extreme riding position, this bike has been designed for one thing and one thing only: going fast. With a stunning engine and plush, predictable handling, the middleweight Triumph is a joy to ride when blasting along country lanes and would be the perfect machine for anyone venturing into the world of trackday riding. However, the uncompromising nature of the 675R means that it works best in only specific scenarios. The bike is too cramped and too tall to be comfortable for long distance motorway trips and the long gearing makes it a bit of a pain in town. However if you keep this bike in its natural habitat, it could be all you ever need. "I’ve just sold my own Daytona! I had the R model for 18 months, from new. I think they are the best bike on the road for all-round use. "Sometimes the exhaust valves play up, which can be expensive. The valve in the exhaust is part of the down pipes and that could be a costly thing to sort out. The engine management light should come on for that beforehand and a lot of the time, this happens due to only seasonal use. The lack of use means the valve seizes, causing the engine management light to come on. This puts the bike on its base settings and unless you were going on track or were a fast road rider, you wouldn’t notice the difference. "As with most modern bikes now, the valves are there for noise emissions, rather than for performance and it shouldn’t be much of a problem – you’ll just have the engine light on. As long as it runs ok, you can buy an aftermarket resistor, which bypasses the light altogether. If you wanted to get it sorted properly it could be a new set of downpipes and potentially a whole new exhaust valve motor! "These bikes are popular trackday bikes and if they are used heavily here they can have issues with oil starvation, due to heavy braking and/or acceleration. "This bike also has a balance pipe across all three down pipes. These can crack where they are welded on. This should be quite evident because it would be blowing and, therefore, noisy. If it’s only just started to crack, you might not hear it. Have a look at the pipes – you can see them without removing anything. "Owners tend to look after them, from the ones that we see. The 12,000 mile service is a full service and it tends to be quite pricey. Make sure the correct services have been done for piece of mind. It’s very easy for people to just get annual services done, rather than the correct servicing. "If they are used year round, then they do show signs of deterioration. They don’t fair particularly well with winter and do show signs of corrosion around the engine and the coils that go into the cylinder heads. The ignition coils can actually swell up inside and we’ve previously had to break them to get them out and then replace them." 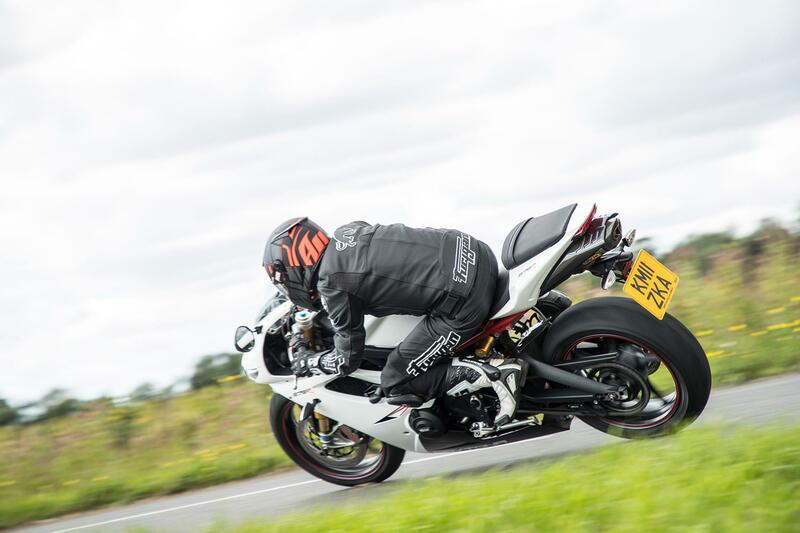 Find your Triumph Daytona 675R for sale today.